Yowza, another one done. I am learning so much as I’m doing an image more than once. 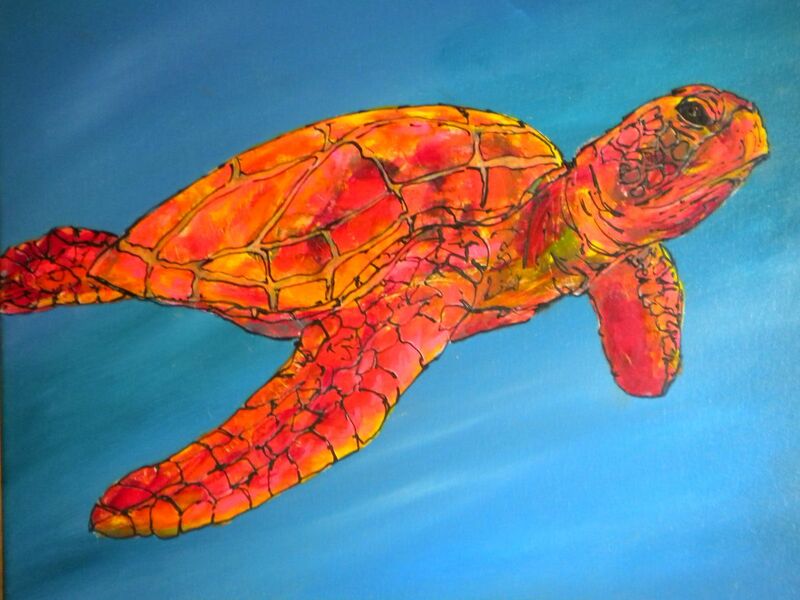 On this piece, I had painted the entire turtle “shape”, as opposed to painting within a platelet. Turns out that this is NOT a good idea. Maybe the first layer of colors could be done that way, but the next layer should define the platelets somewhat. I ended up having to add a neutral color in between the platelets, AFTER I had added the black lines – gah! Difficult and time consuming…… Anyway, in spite of that, I love this piece. I didn’t add as much detail to the fins, which I think looks better, and I like the colors in this piece even more than Turtle 1. 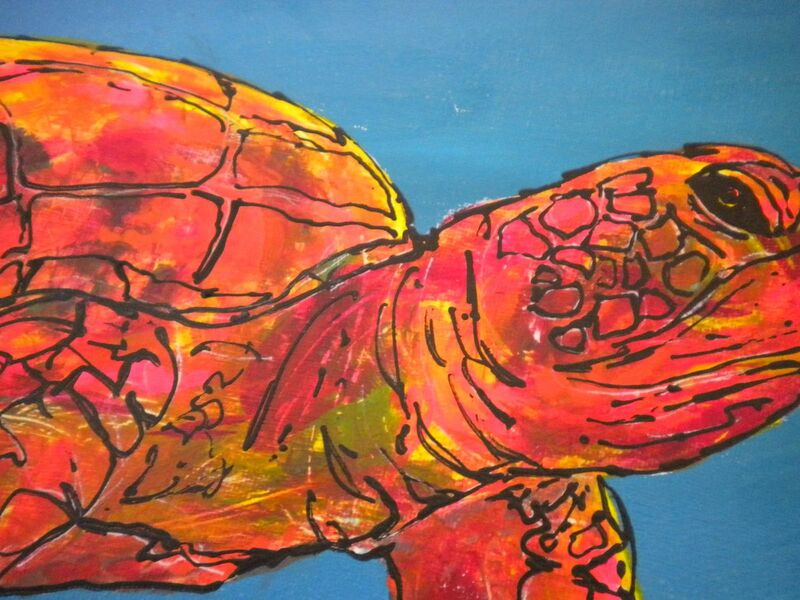 This entry was posted in Acrylics, outline scribble style, Turtles and tagged acrylics, outline scribble style, turtles. Bookmark the permalink. Yes, nice colours. And I love the background blue. It looks like light shining through the water. I realy like it and I agree with Jen, the background makes the turtle standout. really love this style for you – so works with your colour palette and subject matters! Thanks much, and yeah, I’m very pleased with all these “scribbly outline” pieces. I’ve got 13 pieces ready for the show, so far!